HSV De Vrije Sprong in De Lier on saterday 15 April 2006. 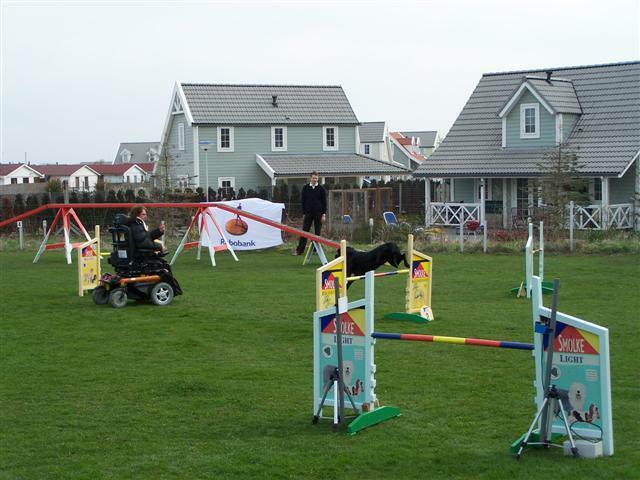 For Quita the first taking part into an agilitymatch after her rehabilitation of her operation May 2005. 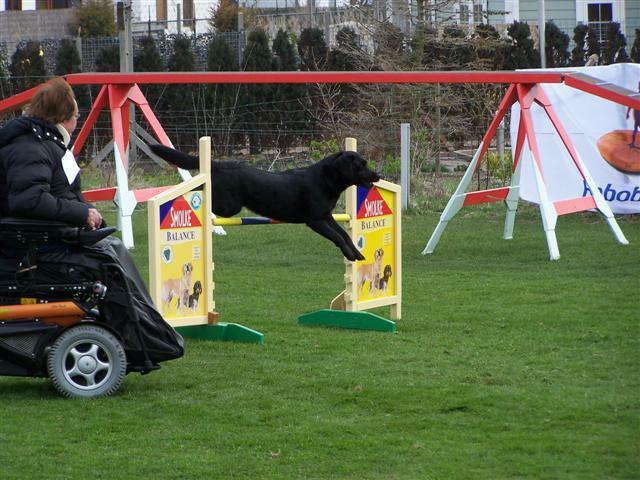 Her speed wasn't just like before, but she ENJOYED VERY MUCH .....she can practise agility again...that's the most important........her fun of agility!! The game was an Power & Speed course, the first 10 obstacles you have to run clear, then you can become points of the rest of the obstacles. Quita became a fault on the 2e jump...so disqualification...the rest of the course was good! Because I became problems with my electric wheelchair on the tube-tunnel.... I was get stuck ;-)). I became a fit of laughter...we lose time and became disqualification of crossing the MCT.